New Orleans on the Inside! Grieving can be a long and lonely process often filled with feelings of helplessness. Many people struggle with the practicalities of filling their evenings or days with a meaningful activity that will help offset the burden of loss. One of the more effective ways of coping with bereavement is to create a living legacy by making an In Memory Gift or an In Honor Gift dedicated to your loved one. The rewards are endless and the warm, meaningful feeling of deep satisfaction that can only come from helping others has all of the healing properties of even the most advanced medical remedies. A good first step is figuring out what you have or would like to donate. Most will think immediately of money since it is, after all, a more traditional means of giving, but there are also many other sound options from which to choose. You might donate a person’s books to an assisted living facility or donate their clothing to a local shelter. You can also donate a loved one’s car to an organization that helps less fortunate people get their lives back on track. Of course a financial donation such as an In Memory Gift will always be welcome at any charitable organization and can be bolstered by requests for friends and family to make a donation in lieu of sending flowers to a funeral. In the event of a sudden or untimely death that affects many people, a campaign or project in honor of the deceased can do wonders for everyone involved. A grieving mother in California invited her son’s friends to help her build a memorial garden out of a run-down park in the area to honor the memory of her lost son who played there as a child. The project helped them give meaning to their grief while channeling their energy into creating something beautiful for their neighborhood. Everyone who participated agreed that the project helped them feel empowered to make his death stand for something good while having a positive outlet for their sadness. Donating your time is also a viable choice and one that is often overlooked. 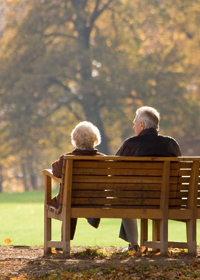 In the case of those who are retired and have lost a spouse, the challenge of filling what feels like an enormous hole in their lives can be quite daunting. The need for interpersonal contact is greatly intensified by the loss of a long-time companion and the abrupt, all-encompassing change in lifestyle can be quite overwhelming. If material things are not an issue, donating one’s time can serve as a life raft that helps the volunteer as much as it helps the receiver. In the case of the grieving mother in California, she enlisted the help of anyone who mourned her son’s death to donate their time and pour their grief into a project that improved their neighborhood. An In Memory Gift doesn’t have to be money and no matter what you donate, the feeling of having turned your grief into something worthwhile is as good a way as any to honor someone’s memory and help yourself heal at the same time. Making an In Memory Gift, whether it is financial or otherwise, is easier than you might realize. With an impeccable reputation and history of giving, Volunteers of America will help you establish your In Memory Gift or In Honor Gift and be there to guide you every step of the way. Since the 1890s, Greater New Orleans Volunteers of America has been providing charitable services to Louisiana in 16 parishes. After Hurricane Katrina, Volunteers of America placed over 20,000 volunteers in and around the affected areas to help rebuild our great city. Call (504) 482-2130 for more information or visit www.voagno.org and select the “Give A Gift” tab to get started, or just read some of their success stories. Gifts can be made online, by phone, fax or mail, and donations can be anything from stocks or mutual funds to a car to volunteer hours. Start your living legacy today!